Head for the mountains and the heavenly meadows, dense forests and rugged peaks of the Conejos River Valley! Finding solitude on the Gold Medal Fly Fishing waters of the Conejos River is never an issue as the valley features wide meadows with ample casting room and over 80 miles of river. Want to fish out your back door? That's an option too! This nearly 4-acre lot sits in Sheep Creek, a gated community high in the Colorado Mountains which features over a mile of the Conejos River running right through the subdivision! 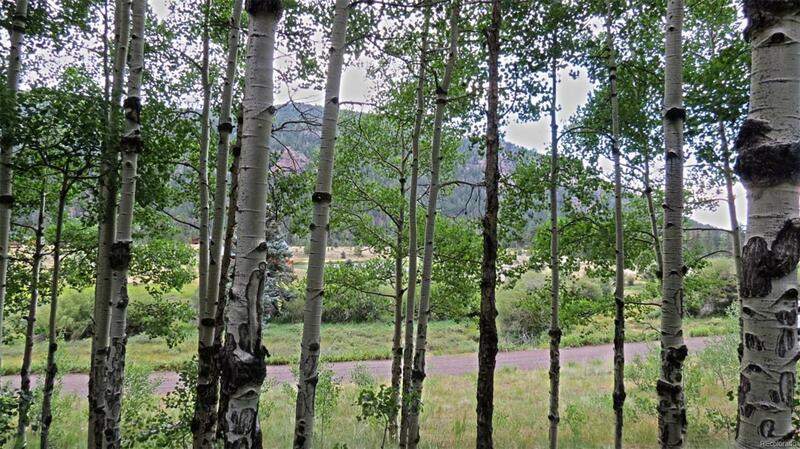 Nestled in the Aspens this lot features views of the community pond and riparian area. The HOA takes care of your needs - road maintenance, trash collection, snow removal (year round destination), and a community water system. High speed internet is being installed in the valley. Septic system and propane tank required, electric and phone are to the lot.